Kissimmee Utility Authority, Florida's sixth largest municipally-owned electric utility, has released its 2009 annual report. 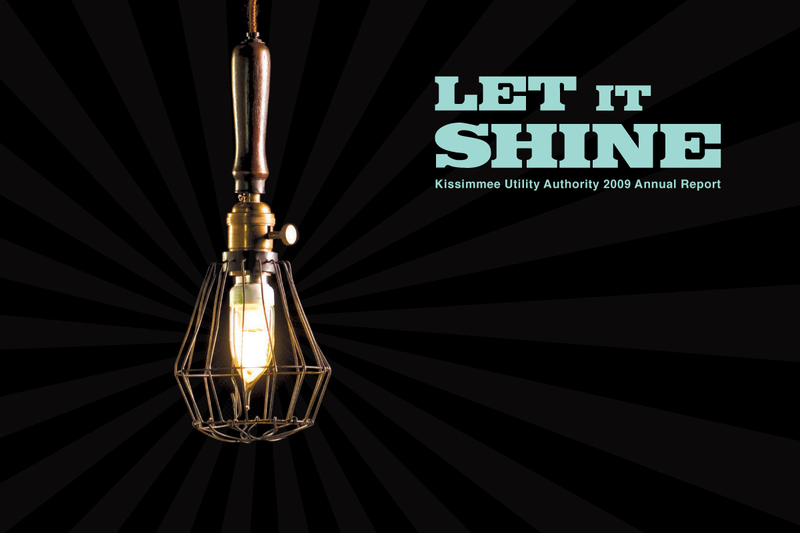 The interactive report - titled "Let it Shine" - can be accessed at http://www.kua.com/annualreport. Kissimmee Utility Authority, Florida's sixth largest municipally-owned electric utility, has released its 2009 annual report. The report - titled "Let it Shine" - shines a light on the utility's partnerships with local nonprofits and government agencies that work tirelessly to help those in need during these difficult financial times. The report also features complete utility financial documents that can be viewed or downloaded. "Every day, KUA shines the light for more than 62,000 customers in Osceola County," said Jim Welsh, KUA's president and general manager. "We believe the light we provide to our customers does more than illuminate a room - it provides positive energy to everyone in it." The report can be accessed at http://www.kua.com/annualreport. Operating revenue decreased by 9 percent to $190.5 million from $209.2 in 2008. Operating expenses decreased by 7.3 percent to $179.5 million from $193.6 million in 2008. KUA assets exceeded liabilities by $162.4 million (net assets). Of this amount, $30 million is available to meet ongoing obligations to customers and creditors. The utility's total outstanding long-term debt decreased 3.6 percent to $221.9 million from $230.2 million in 2008. Founded in 1901, KUA provides electric and telecommunication services to 62,000 customers in Osceola County, Fla.
Let It ShineKUA 2009 Annual Report KUA LogoCorporate logo of Kissimmee Utility Authority, Kissimmee, Fla.